It was just a matter of time before Twitter shut the blogging platform Posterous down, after acquiring the company last March. The team had already been folded into the flock, but this means that nobody has to worry about pesky service interruptions or keeping the service’s diminishing number of users happy. The site will be shutting down on April 30, but it’s not a completely sad story. I’m teaming up with another cofounder of Posterous, Brett Gibson, and we are taking a pledge to keeping the URLs online forever. It’s $5 a month and will have all of the ease of use and power of Posterous. It’s just the two of us and we’re coding it in our bedrooms right now. Right now and over the next couple months until April 30th, you can download all of your Posterous Spaces including your photos, videos, and documents. 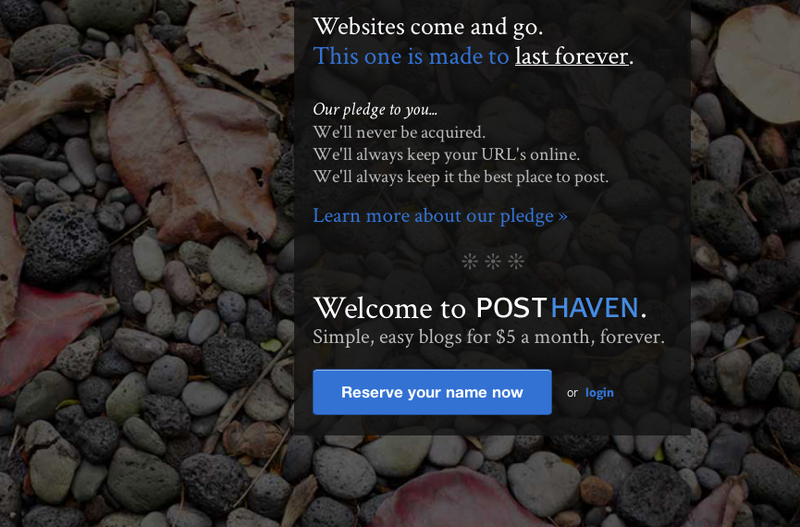 Posthaven is currently taking reservations for its service, so grab your name.